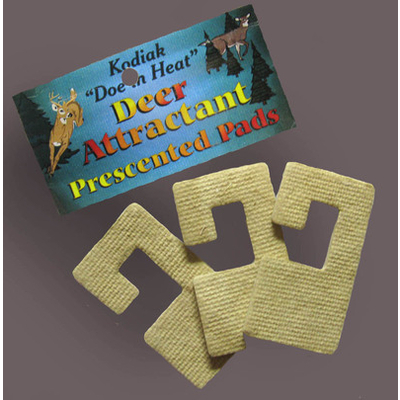 These pads are created by a unique process of freeze drying fresh deer urine, while only hours old. Through the freeze dry process, the scent is magnified hundreds of times, and locked into this uniquely shaped pad. There is no mess, and no refrigeration needed. They come in a reclosable, barrier bag, which locks in the retains the freshness and potency. Hung on a tree branch or tree stand, they are both an attractant and a cover scent. Pads are quick and easy to use.